Quebec's Order of Veterinarians says more research into effects of cannabis on animals is needed before vets begin widely prescribing cannabis products. On the surface, Lou and Gaby look nothing alike. 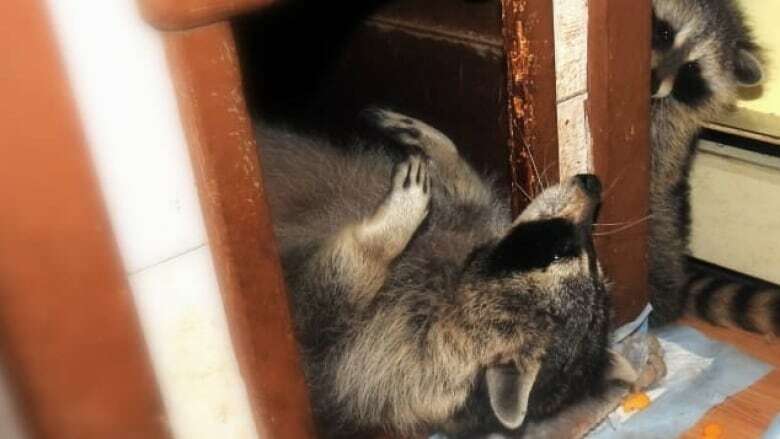 But the pair of sick animals — a raccoon and a skunk, respectively — have something in common: they are both being treated with cannabis oil at a shelter in Quebec's Laurentians region. Jacques Lessard, co-founder of the Centre-refuge Nymous, an animal shelter in Sainte-Béatrix, Que., says the unorthodox treatment is working. 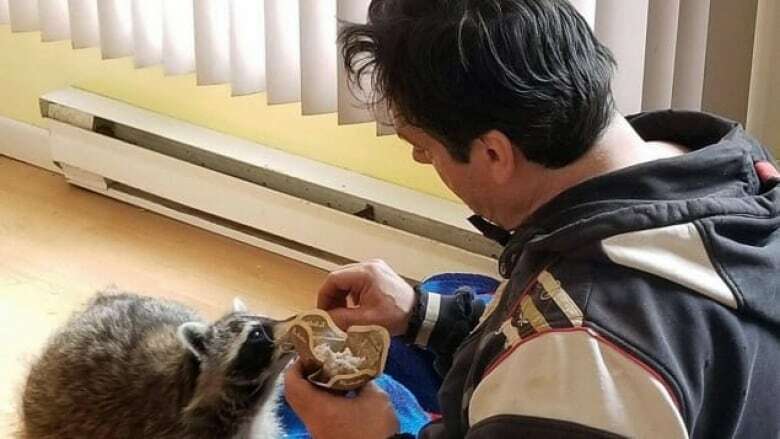 Gaby's hind legs don't work and part of her brain has atrophied, while Lou, a female raccoon, suffers from body spasms resulting from a bout of hypothermia. "The results were almost immediate for Gaby. She's stopped trembling. It seems to have helped her have better co-ordination, better balance, and hasn't stupefied her," Lessard told Radio-Canada. For Lou, the cannabis oil "lowered the intensity of her spasms," he said. It's been about three months since Lessard and Rachel Garenne, the shelter's other co-founder, first began incorporating cannabis oil into their treatments. The shelter's staff administers cannabis oil to the animals orally — either through a syringe, or mixed into their food. The shelter is currently nursing 36 animals back to health, including several raccoons, as well as a fox, a coyote, a groundhog, a possum and a deer. Most of the animals were taken in after being hit by vehicles. Lessard said the idea to use cannabis came to him after he'd done research online, and consulted some veterinarians. He then approached Montreal's Clinique la croix verte, a medical marijuana dispensary on Ontario Street East, which agreed to provide the shelter with cannabis oil for free. The clinic's director and founder, Shantal Arroyo, said the market for cannabis products made especially for animals is growing. "It's already a billion-dollar industry in the U.S.," she said. 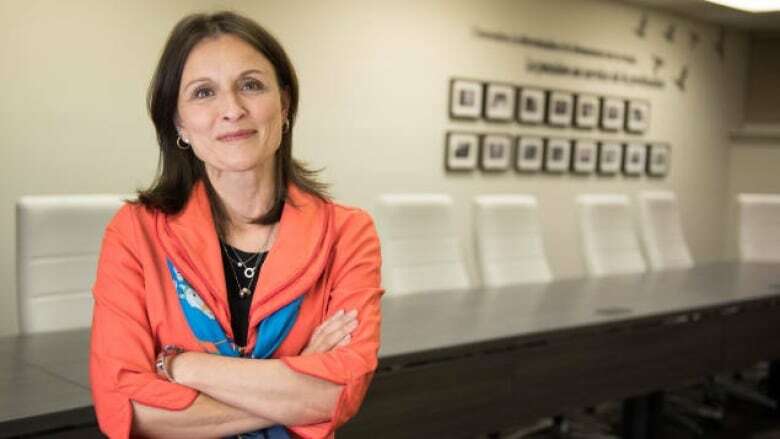 Caroline Kilsdonk, president of the Quebec Order of Veterinarians, remains cautious, however. She said studies into the therapeutic effects of cannabis haven't come to any definitive conclusions, so the order doesn't recommend that vets prescribe cannabis-based products just yet. There's a difference, though, between the two main components of cannabis, cannabidiol (CBD) and tetrahydrocannabinol (THC), Kilsdonk said. She said the most promising effects of THC on animals are that it stimulates their appetites and reduces pain, epilepsy and anxiety. "There are a few studies that have been conducted on the therapeutic properties of cannabis that contains both THC and CBD, but they haven't come to any firm conclusions and weren't carried out on all species," Kilsdonk said. "The data is incomplete. We don't recommend that veterinarians resort [to cannabis] at this time." For her part, Arroyo said she only prescribes products with a CBD base — and no more than 10 milligrams per kilo — because she says "that's what works best." "Contrary to THC, CBD doesn't have psychoactive effects and doesn't impair the animals," she said. She said she always asks to see an animal, and read its report from the vet, before making any decisions.